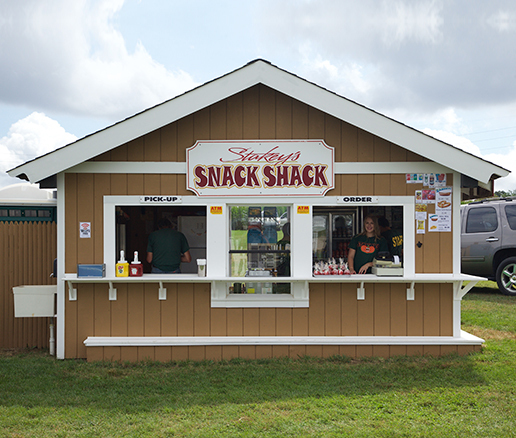 During your visit at Stakey’s be sure to stop by our snack shack for lunch or just a quick refreshment. Picking pumpkins is hard work, so make sure you have the energy to pick the perfect gourd with a delicious bite to eat and refreshing drink. We have a delectable selection of meal items and goodies that both adults and kids can enjoy in our picnic area which provides great views of the farm. We’d like you to take a seat and rest your feet for a bit before you get back to exploring Stakey’s Pumpkin Farm. 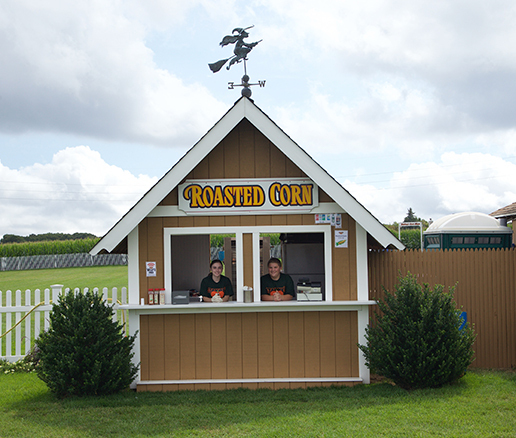 Don’t forget to have an ear or two of our roasted corn which is sure to satisfy your hunger. Nothing tastes better than a hot buttery ear of local corn, freshly picked and roasted daily. It’s just what you need after a long day of pumpkin hunting. 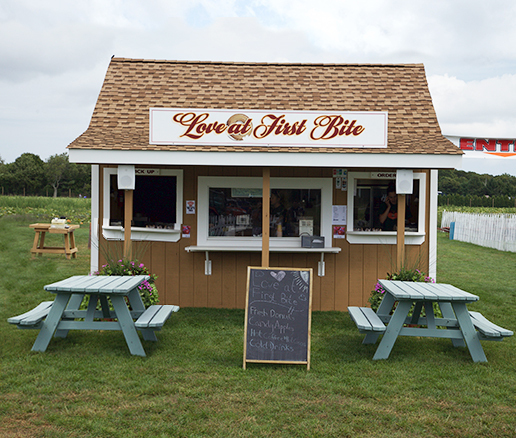 No visit to the pumpkin farm is complete without swinging by our Love At First Bite stand! We offer home-made apple cider donuts that will settle the little growl in your stomach. Make sure to wash it down with fresh apple cider served either hot or cold. Stop by and say,”Hi”.